Navy sparkle with pink, navy & silver beading. Heart feature and branded Lelli Kelly strap. 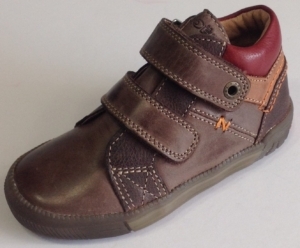 Soft brown leather with orange stitch detail. Double velcro strap fastening. Soft pink leather patent t-bar shoes. 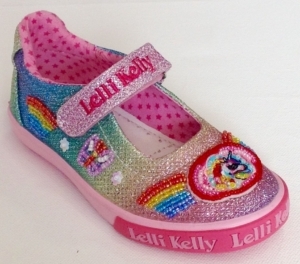 Rainbow glitter sparkle with multi coloured beads and sequins featuring unicorns and rainbows. Light blue canvas with multi coloured beads and sequins featuring unicorns.